The Nathaniel Mariner House is a medium-sized home. 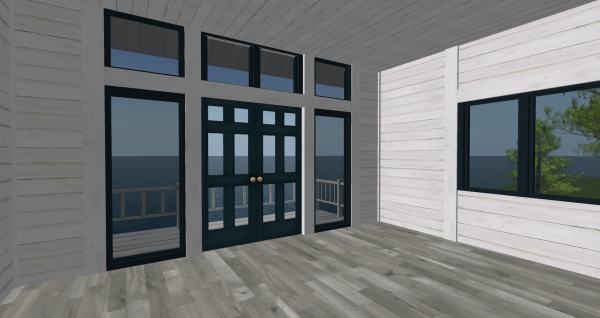 It has the floor to ceiling windows and double glass doors to bring in the light and for excellent view of the ocean or mountains. There is also the attached sun-room, the dormer windows and balcony on the upper floor. 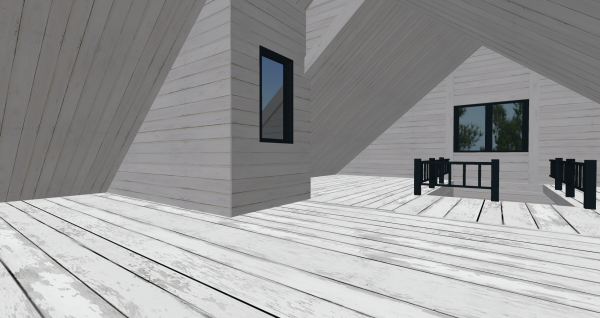 There is also a spacious usable attic. The spacious open floor plan. 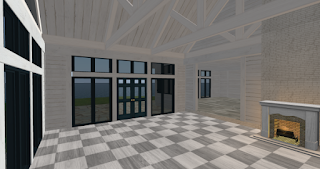 The sun-room with open rafters. 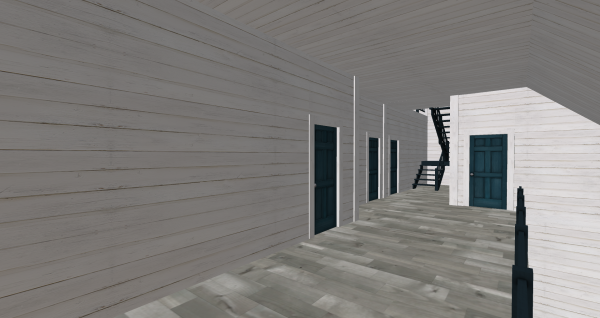 Corridor on the upper floor with the staircase leading to the attic. The room with the balcony. 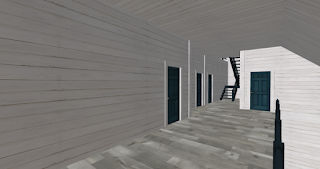 This house comes in a rezzer for easy positioning. This house is available for 329L at my inworld store and the Marketplace. 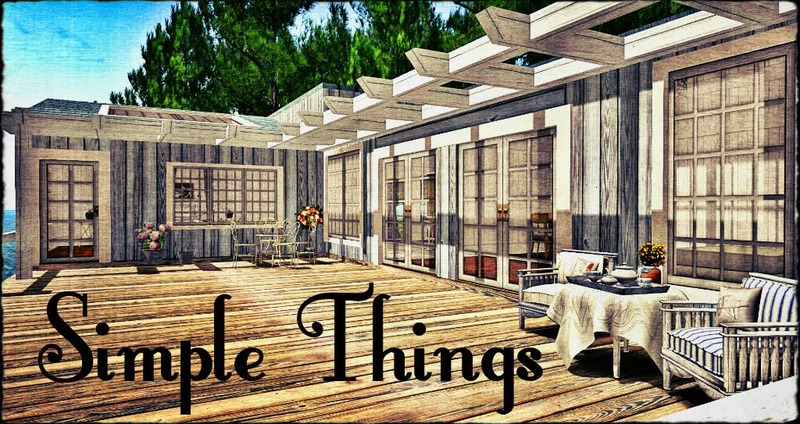 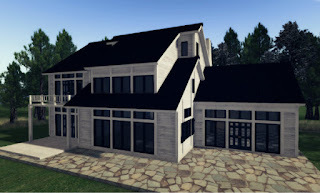 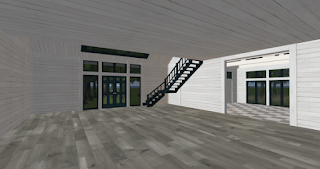 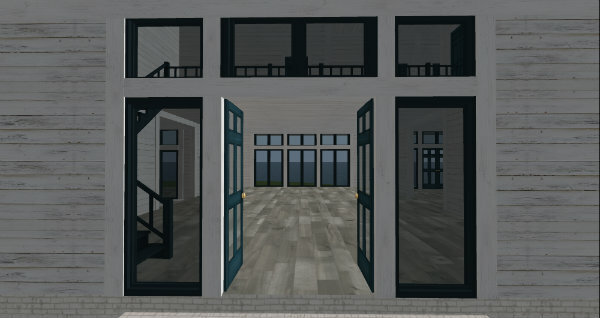 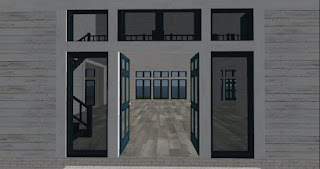 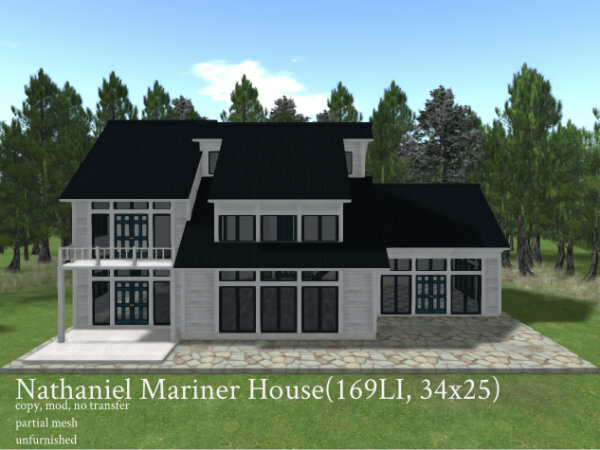 Please see the demo of this house at my inworld store.